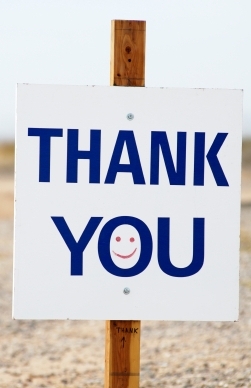 Today I passed a sign at a residential complex that said “Customer Appreciation Week,” and it got me thinking: why do we have to name specific weeks or days to express our gratitude for our customers, residents, clients or companies? Do you feel like a business really appreciates you if they give you a discount on Customer Appreciation Day? I appreciate my clients. Business owners appreciate their customers. Why don’t we find more relevant, personal ways to show them that appreciate them? Work hard for them. Get to know them. Pay it forward. Let’s change the way we do customer appreciation. < Previous All employees are PR people! Next > Need a Moment. Hear hear! I’m always looking for ways to improve donor relations as a fundraiser…. it’s exactly the same. Also – I love the new logo! !